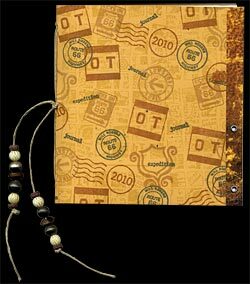 Welcome to the thirteenth issue of the Carolyn Hasenfratz Design and Carolyn's Stamp Store email newsletter. Who is in control of your online reputation? The last thing I need is another hobby - so why am I starting a new one? I will be exhibiting my rubber stamps at Crestwood Court (formerly Crestwood Plaza) this Saturday, August 14, 2010, as part of the First Annual Route 66 Car Cruise. Crestwood Court is located on the Watson Road alignment of Historic Route 66 in South St. Louis County. Classic cars will be driving up and down the length of the route from 9 a.m. until 9 p.m. The route runs along Watson Road (Old Route 66) from Geyer Road to Crestwood Court. There will be a main stage at Crestwood Court with activities all day long. There will also be other various activities, specials from businesses and many car clubs stationed along the route. Stop by my booth to enter a drawing to win free rubber stamps! I'll have for sale mounted rubber stamps from the Carolyn's Stamp Store collection and there will be samples on display of things you can make with rubber stamps. I hope to see you there! The Route 66 Association of Missouri, of which I am a member, will also have a booth there, so that's a good opportunity to meet Route 66 enthusiasts and learn about our activities. Several years ago I started a web site called John's Modern Cabins News as a personal project. The purpose of this site is to help along historic preservation efforts on Route 66, on of my personal passions. To that end, the site contains preservation news, suggested actions, a directory of promotional resources, and a free directory for historic businesses on Route 66 to help them get more exposure and thus stay vital and open. I've recently relaunched the site because I have added an online form provided by Webinar Resources to make it easier for business owners to send me their information if they want to be in the directory. To promote the relaunch one of the things I'm doing is sending postcards to businesses that I think would be appropriate for inclusion. For some of the businesses I've have to search online for their street address - while doing that I noticed something interesting. Quite a few of the businesses I searched for have web sites, but their web sites did not always come up first in the search results. In many cases review web sites such as Trip Advisor were the first result shown. Why would review web sites be first in the search results over the businesses' own web site? I've previously written a blog series on how to get the most out of your online content in which I focused mainly on technology and social media and how it can help leverage your content to a larger audience. You can also get more exposure for your content by thinking strategically about social network applications. We all know about the social media applications that are meant for a general audience such as Facebook and Twitter. If you have a wide variety of hobbies and interests as I do, you may be aware that many web sites that cater to a niche audience engage in community building by incorporating social network applications into their web sites such as personal blogs. The Route 66 Association of Missouri 21st Annual Motor Tour, "Let's Cruise Into a New Decade on Route 66! ", will take place on September 10th, 11th, and 12th, 2010. We'll be touring from Gray Summit to Joplin, Missouri with overnight stops at the Travelodge Six Flags in Gray Summit, and the Best Western Route 66 Rail Haven in Springfield. The motor tour is open to everyone and is a great way to see Route 66 in Missouri, particularly if you are new and not sure of the directions. If you've always wanted to tour Route 66, join us! You can bring a classic car but any kind of vehicles are welcome. Each registered vehicle will get a dash plaque, window decal and passport. Motor tour t-shirts (designed by me) and other cool Route 66 stuff will be available for purchase. Don't miss the fun! Lodging information and registration form HERE. And here is the press release. My new hobby is called Letterboxing and it's kind of irresistible to me because it combines four of my favorite things - road trips, geography, rubber stamping and hiking. Many of you are familiar with Geocaching, in which participants find caches with small prizes in them using GPS technology. Letterboxing is similar but is lower-tech - instead of finding the letterboxes with GPS technology, clues and puzzles are used to direct hunters to the boxes. Usually there are no prizes involved. The goal is to find a rubber stamp and make an impression in a logbook that you bring with you, and in turn stamp your own stamp into a logbook contained in the letterbox. To find clues to letterboxes near where I live or where I'm planning to travel, I consult the web sites Atlas Quest and Letterboxing North America. Each letterboxer has a trail name and a signature stamp. It is permissable for letterboxers to use a commerically produced rubber stamp, but many prefer to carve their own. I have carved a stamp suitable for my letterboxing trail name - Jeep Girl 66. If you would like to see what it looks like, look up my profile on Atlas Quest. If you would like to try Letterboxing, I suggest you look over the web sites mentioned above and review the guidelines. Then if you would like to carve a signature stamp, I have written a tutorial to help you learn how to carve rubber stamps. If you would like to make yourself a journal or logbook to record your finds, see the project idea below.